New York has a low blood alcohol standard of .08 for determining if an individual is driving while intoxicated (DWI) or driving under the influence of alcohol or drugs (DUI). Our Washingtonville legal team — attorney Christopher Kleister and paralegal Jennifer McCarthy — understands the serious consequences associated with DWI charges and convictions. At Our legal team, we will evaluate your situation from every angle to determine the best course of action. Protect your driving privileges. Contact us today at 845-827-1909. Our Orange County DWI and DUI attorney will aggressively protect your rights. In New York, if you are stopped for a DWI and fail the breathalyzer test by blowing .08 or higher, the court is obligated to suspend your license pending prosecution at your initial arraignment. If you refuse to take a breath test, the court notifies the Department of Motor Vehicles (DMV) of your failure to submit to the test. The DMV will conduct a hearing to determine whether probable cause existed for your stop and if you refused the breath test. If the DMV determines that you failed to submit and it was a proper stop, your license will be revoked for one year. It is vital that you consult with a criminal defense attorney before the arraignment. Certain protocols must be requested at the arraignment, or you lose your rights to them. For instance, if you do not request a hardship license, your rights to one could be waived. New York law places strict guidelines on DWI and DUI sentencing. If you receive two misdemeanor DUI convictions within 20 years, your second conviction elevates to a felony. You would face harsher sentencing and lasting consequences with a felony conviction. 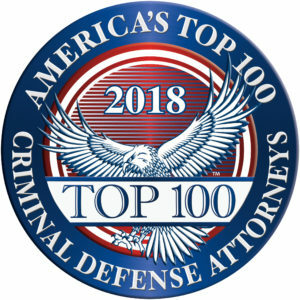 We understand that every DUI case is unique. We tailor our representation to our clients' needs and goals. Our extensive experience includes defending truck drivers facing CDL license revocation due to DWI charges. We are dedicated to minimizing your consequences at every stage of your case.